The author introduces his article: All medicine is philosophical in nature. Even modern medicine is based on our modern-day understanding of life as a biochemical, possibly mechanical, process. Chinese medicine is also based upon certain philosophical understanding cloaked in cultural terms appropriate to its time and geography. If we get caught in the language used we might lose sight of the essence of the medicine: its view of the human process. When we look deeper, past the cultural differences, we can find the core statements and realise their relevance to our lives along. This article explores ways in which Chinese healing practices have undergone acculturation in the United States since the early 1970s. Reacting to what is perceived as biomedicine's focus on the physiological, those who describe themselves as favouring a holistic orientation often use the language of 'energy blockage' to explain illness, whether thought of as 'physical' 'emotional', or 'spiritual'. Acupuncture in particular has been appropriated as one modality with which to 'unblock' such conditions, leading to its being used by some practitioners in conjunction with more psychotherapeutic approaches which include valuing the verbalising of feelings. Some non-Chinese practitioners in the United States, returning to older Chinese texts to develop 'an American acupuncture' are reinserting diagnoses eliminated from Traditional Chinese Medicine (TCM) by the People's Republic of China as 'superstition'. The assumption has been that many such diagnostic categories refer to psychologial or spiritual conditions, and therefore may be useful in those American contexts which favour this orientation. 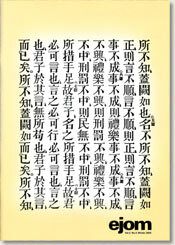 Among these categories are those drawn from traditions of demonology in Chinese medicine. What was once a religious category in China turns psychological in the American setting. At the same time, many who use these terms have, since the late 1960s, increasingly conflated the psychological and the religious, the latter being reframed as 'spiritual'. Thus, this indigenisation of Chinese practices is a complex synthesis which can be described as simultaneously medical, psychotherapeutic, and religious. This article examines the nature of the integration of 'body' and 'mind' in Seem's BodyMind Energetics, comparing cultural assumptions of Chinese and western medicines. The ideas of writers such as Groddeck, Deutch and Alexander are discussed. The Chinese categories of the three Heaters are analysed with, reference to psychosomatics, in an attempt to bridge cultural notions of body and mind. The author writes about her exploration and research study of student motivation, maturation and development, comparing her findings with those of other writers in the areas of education, nursing, acupuncture, psychology and spiritual development. The author reviews the annual seminar of the Toyohari Association held in Tokyo. She reports that for those who completed the Toyohari training and programme went to Japan it was a valuable opportunity to consolidate their concentrated period of study. The seminar took place over two days, with an additional two days of practice generously offered to other foreign participants. This review critically analyses and evaluates two recent British papers dealing with current world wide reports on adverse events of acupuncture. Availability of scientifically based articles and research papers into adverse events resulting from acupuncture has been confined to specialists who manage these complications (Rampes and Peuker 1999), and little is known about adverse events of acupuncture by the general public, apart from occasional anecdotal reports. However from 1996, particularly in Australia, (James, 1996; Bensoussan & Meyers, 1996) efforts have been made to collate published data and present it logically both in scientific journals and the public arena.